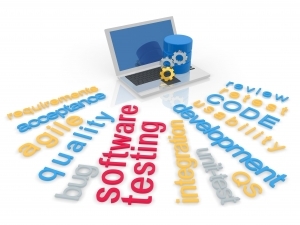 functional testing ensures that each of function the software application operates in conformance with the requirement specification. This testing mainly involves black box testing which is not concerned with the source code of the application under test. Each and every functionality of the system is tested by providing proper input, verifying the output and comparing the actual results with the expected results. This testing involves checking of functionality, User Interface, Database, security, client/ server applications and functionality of the Application Under Test (AUT). The testing can be done either manually or using automation. Mainline functions: Testing the main functions of an application. Basic Usability: It involves basic usability testing of the system. It checks whether an user can freely navigate through the screens without any difficulties. Accessibility: Checks the accessibility of the system for the user. Error Conditions: Usage of testing techniques to check for error conditions. It checks whether suitable error messages are displayed wherever required. Determination of output according to the respective input values. Comparison of Actual output and the expected output.